Der Fluss Lee (An Laoi) entspringt im Gougane Barra in den Shehy Berge und fließt durch mehrere natürliche und künstliche Seen bis in die Stadt Cork, wo er in den Lough Mahon mündet. Der Fluss begleitet uns bei der ganzen Fahrt von Blarney Castle bis zur Passhöhe, von der aus die Straße direkt hinunter nach Bantry geht. 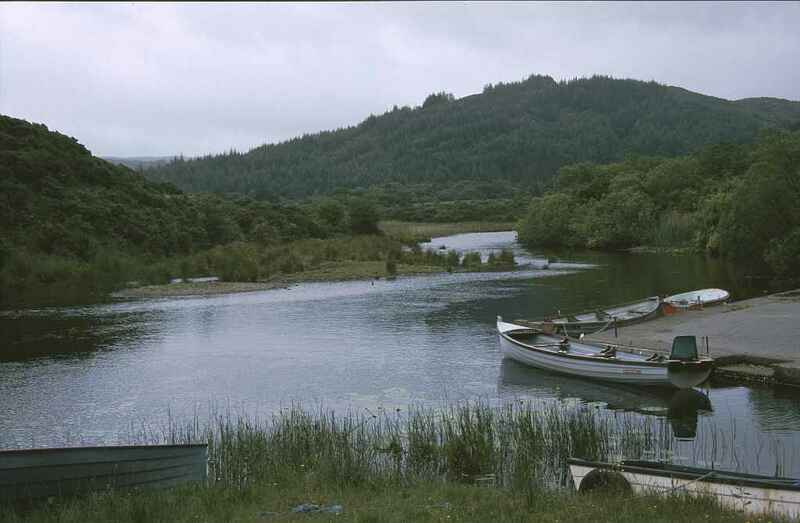 The Lee (An Laoi) River has its source in the Gougane Barra in the Shehy Mountains and flows through several natural and artificial lakes until Cork city, where it ends in Lough Mahon. It accompanies us on the whole drive from Blarney Castle to the mountain pass from which the road goes straight down to Bantry.